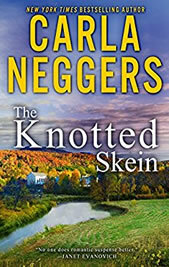 A classic e-book reissue of heart-stopping suspense, mystery and romance from New York Times bestselling author Carla Neggers. No one is more surprised than Ann Chadwick when Mark Whitney turns up in her small Vermont town. For one thing, he’s supposed to be dead! Instead, here he is, interrogating her about the recent death of her sister-in-law, Rachel Chadwick. The Chadwicks and Whitneys go way back, but Ann hasn’t seen Mark in years. Does he believe she had something to do with Rachel’s death? If Rachel didn’t kill herself, then who did? Why? And is the killer still out there, ready to kill again? Originally published by Avon Books.